If you are looking for a perfect fit for all your insurance needs, look no further from the private client insurance. This coverage is designed to meet your unique insurance needs. It has dedicated underwriting and claims services and it is a very convenient and affordable insurance plan for high-value clients. As a high-value client enjoying some wonderful things in life like visiting vacation homes, opting for leisure activities and spending time with your family and friends, you want to protect your lifestyle and your family, don’t you? The best way to do this is by insuring the most important possessions in your life. You can work with RSA broker to make the process easy for you. 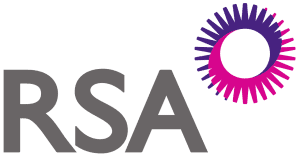 RSA provides a dedicated team of claims, underwriting and appraisal experts with the aim of providing private clients with the protection they need. This will help you to understand what high-value assets stand for and will also help you to get hands on the needs of clients with high net worth. RSA private client insurance is a comprehensive and customizable coverage for high-value clients. The plan has convenient claims and underwriting services which makes it a one-stop solution for your specific insurance needs. It provides high-value clients the leverage to protect their lifestyle and also insure their most important and valued possessions. RSA has a team of dedicated underwriting, appraisal and claims experts who will do everything it takes to provide private clients with the protection they have ever longed for. Ask your Broker about Private Client Insurance Quotes and Compare!